In this place of both beauty (the Falls are stunning) and utter tat (Clifton Hill seems to have been designed to distract the child with the world’s shortest-ever attention span) you will find the Guru. The unassuming lattice wood and brown decor in the Guru could be seen as plain elsewhere, but in a town where you bombarded with the bright lights of casinos, the Hard Rock Café, the Haunted House, ten-pin bowling, Guinness World Records (need I go on?) this is a calm before the spicy storm. Politely staffed, the pink-fronted Guru is wedged between Louis Tussard’s Waxworks and Super Souvenirs, just a nan’s thrown from the madness of Clifton Hill. 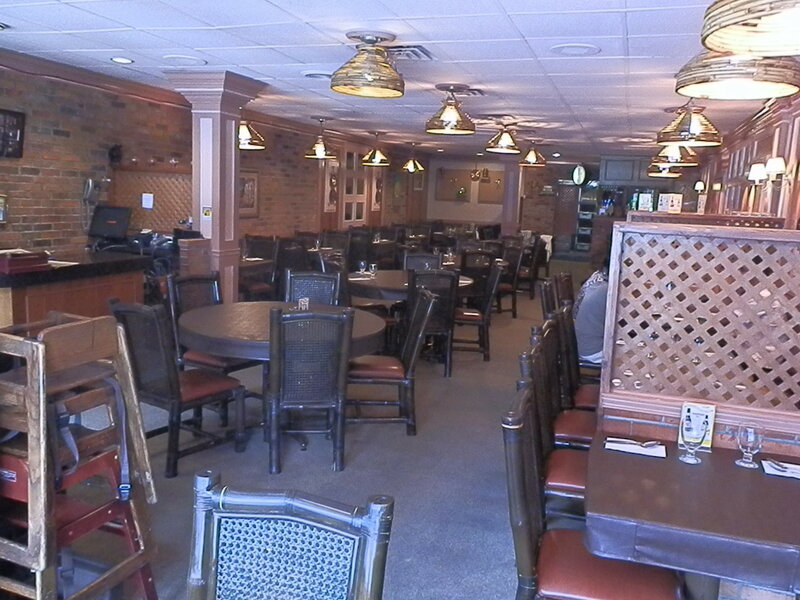 Serving seriously decent food, it’s been here eight years. Chicken Haryali Tikka ($13) is a tasty green dish cooked with mint and coriander and served up on a bed of lettuce with slices of raw onion. And the tender Lamb Vindaloo ($14) comes with a think dark sauce (made thicker with added coconut) although it’s not the hottest Vindy you’ll ever find. 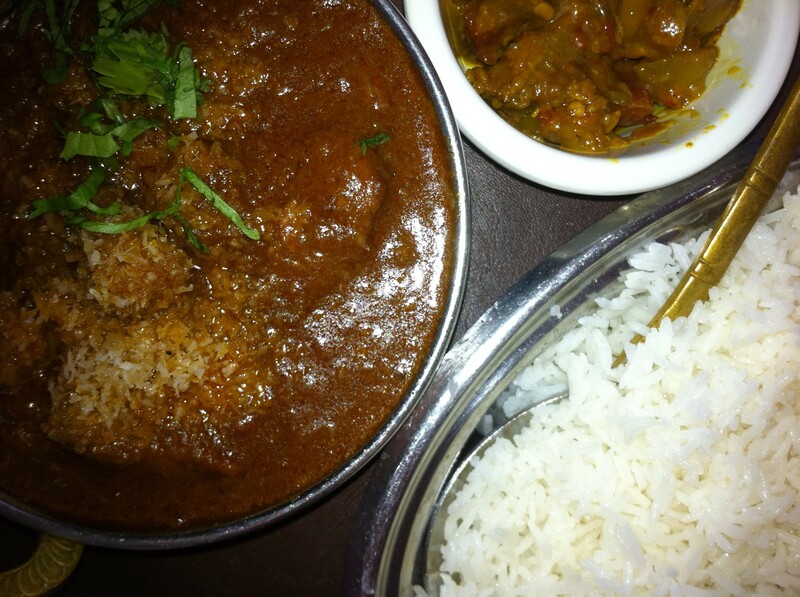 Add some spicy Achar ($1), Basmati Rice ($3) and Cheetah beers (see next post) for a great meal. 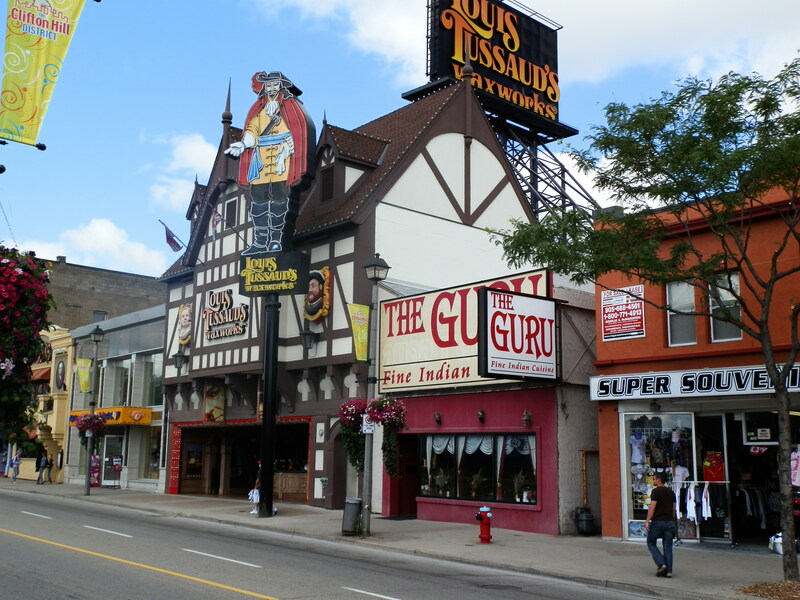 The Guru, Victory House, 5705 Victoria Ave, Cnr Clifton Hill and Victoria Ave. Niagara Falls, Ontario, L2G 3L5, Canada. Tel: +1 905 354 3444.